Robbie Stubbins enjoys mentoring some very promising students from Stafford Technical Center as a community-minded entrepreneur. This video was completely produced by students from Stafford Tech. The producers won 1st Place in the Vermont Entrepreneur Video Competition with personal recognition by Vermont’s Governor Phil Scott. 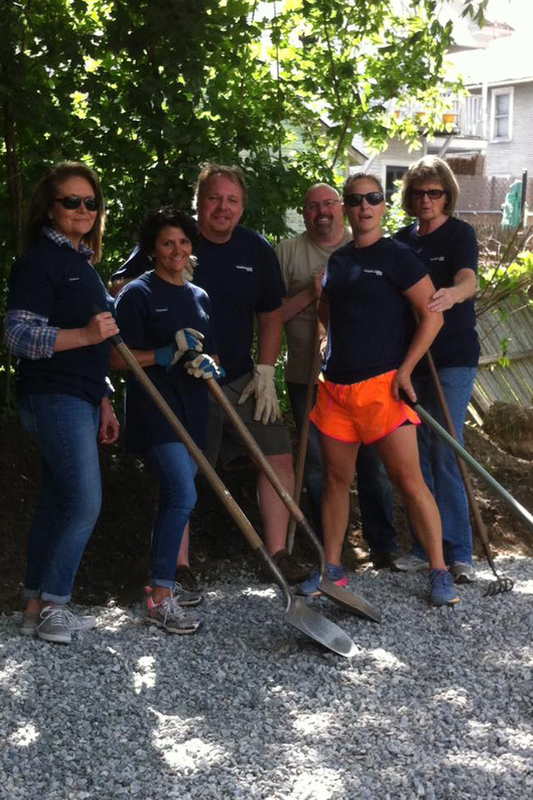 Making our community better for our neighbors with Habitat for Humanity. 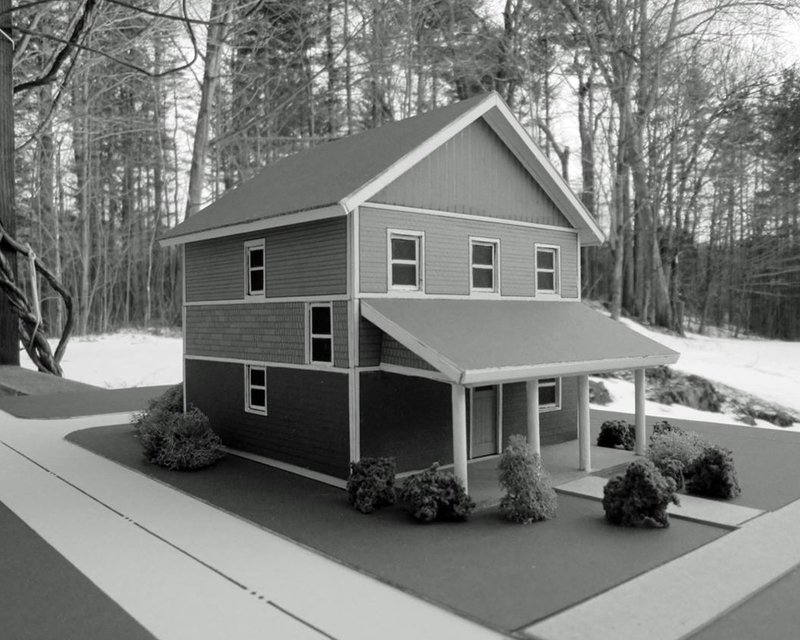 As electricians with a vested interest in our community we are proud to support Rutland County’s Habitat for Humanity. 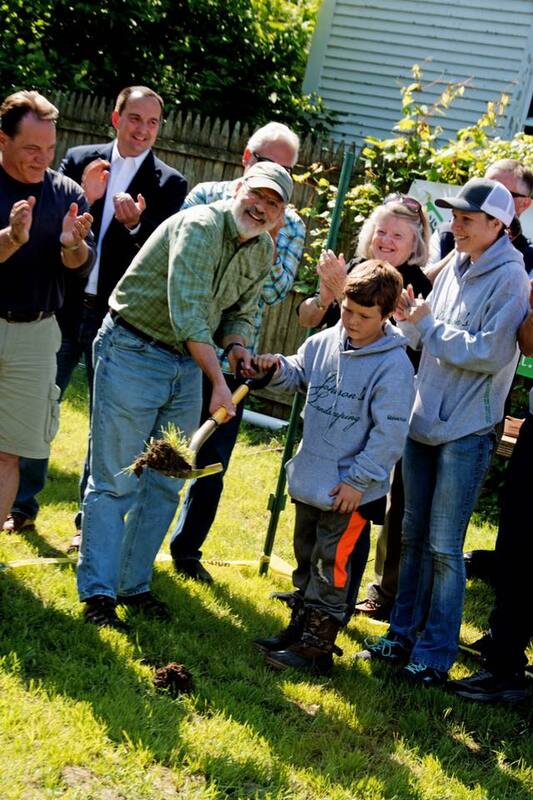 The mission of Habitat is as good as it gets – providing a hand up for housing to a family that takes part in building it, along with hundreds of volunteers from our community. 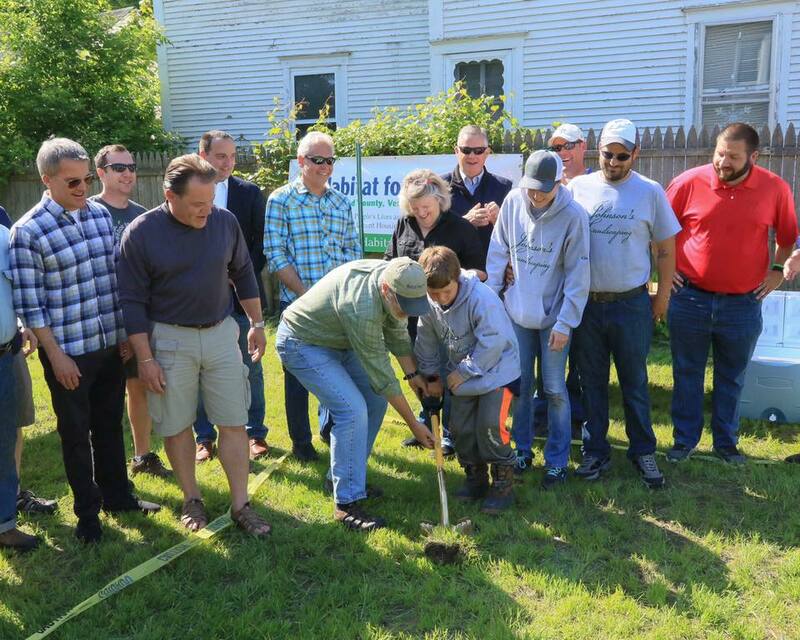 We are pleased to be participating in Rutland’s own Habitat for Humanity project currently being built on Cleveland Ave in Rutland City. Groundbreaking was June 2017 and construction should last about 9-10 months. The generous team at Rob Stubbins will provide the labor and expertise to completely wire the home and have it ready for move-in by Spring of 2018. It is an extremely humbling experience when you donate your time for such an amazingly worthy cause. We’ll take lots of pictures, not so much of the construction, but of the many volunteers having such a wonderful time helping to make it happen! 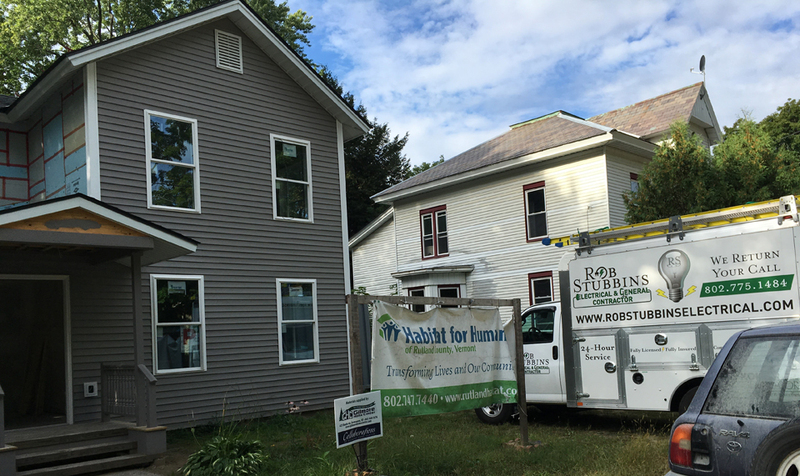 Rob Stubbins Electrical and General Contractor lends a hand building a home for our neighbors – by our neighbors – with Habitat for Humanity of Rutland County.